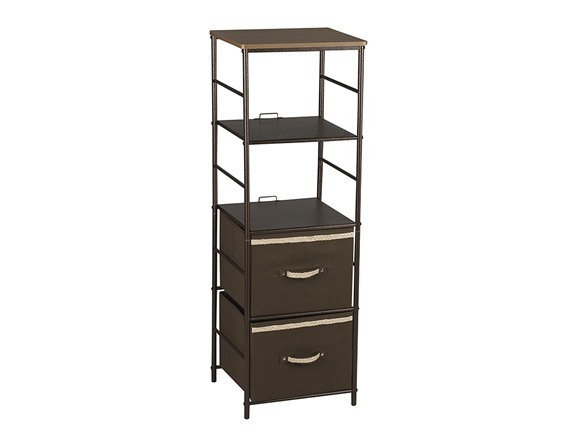 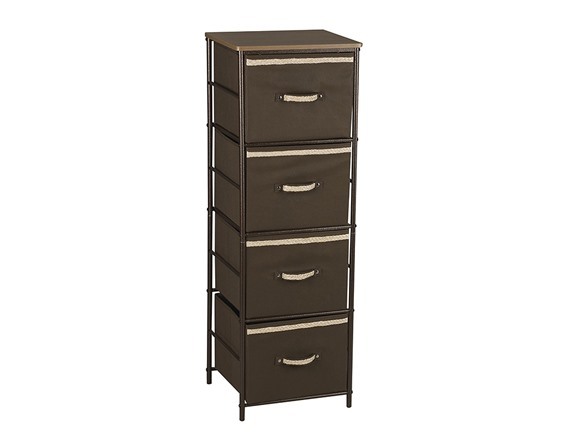 Household Essentials 4-Tier Storage Tower in bronze creates an attractive way to organize your home or office instantly. 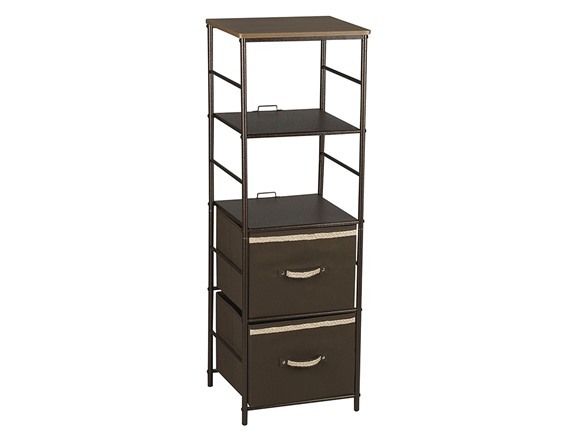 This storage unit is a vertical tower that comes with 4 brown storage bins that are reversible. 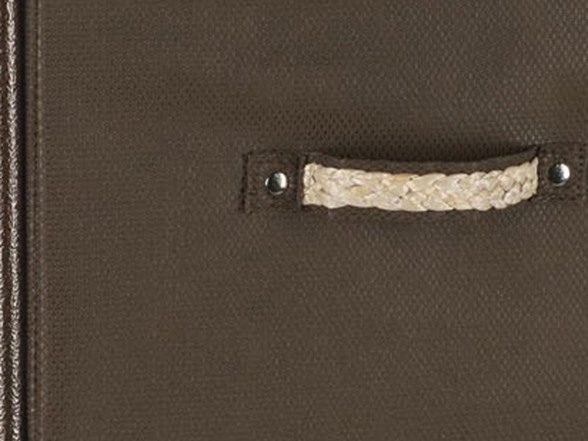 Each bin has a rope accent handle on one side and a solid brown handle on the other. 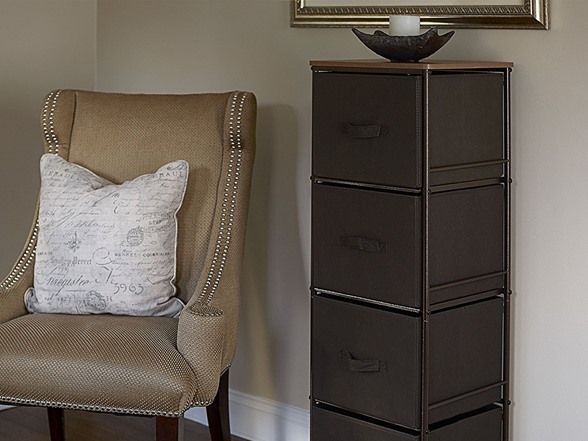 Easily replace 2 bins with metal shelves for open storage, too. 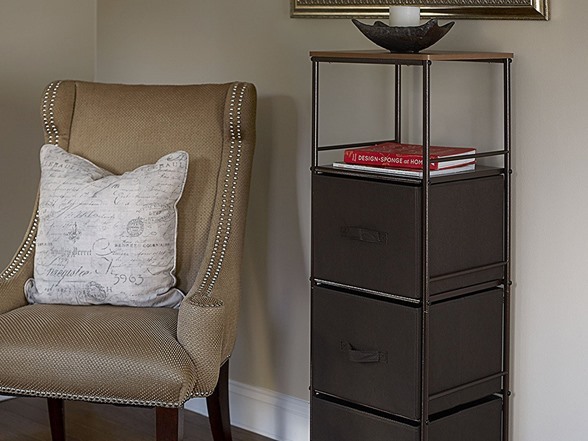 The steel framed stand is strong and attractive, perfect to frame a doorway or organize a crafting space! 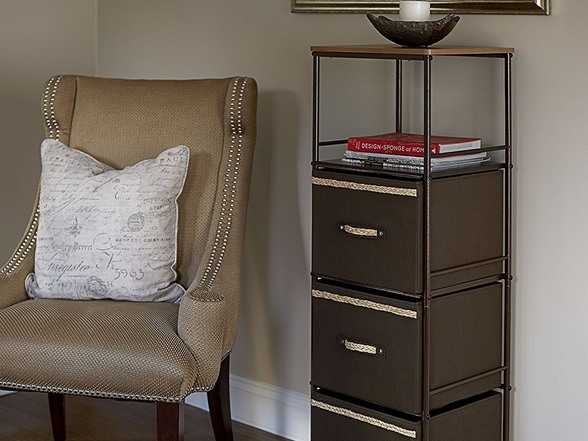 With a honey-toned wood-finished tabletop and bronze frame, it is a striking storage stand that looks fantastic.